In recent weeks North Korea has actively publicized in domestic and foreign news media its determination to pursue an aggressive strategy to develop special enterprise zones (SEZs) throughout the country. This follows and complements the agreement reached between the two Koreas in September to reopen the Kaesong Industrial Complex (KIC)—which was closed unilaterally by the North in April—and to establish new joint management arrangements for that zone designed to ensure its stability in the future and to attract international, not just South Korean, investors. Both developments have been met with considerable skepticism following erratic North Korean decision-making and the significantly negative impact of the KIC’s closure on South Korean companies as well as on investor risk perceptions of the reliability of investing in North Korea at all. Clearly, whether rebuilding and internationalizing the KIC or proceeding with ambitious plans to expand the role of SEZs as an economic development strategy, North Korea faces major uphill challenges in attracting investors and finding a formula for success. To many experts and economists, these challenges seem near insurmountable, given the current state of North Korea’s economy and investment climate. This leads us to ask: should anyone take this new SEZ development strategy seriously? SEZs have been a feature of North Korea’s economic development strategy for many years. There have been six legal regimes for the Rason region since the early 1990s, the most recent adopted in December 2011. In order to induce foreign investment, each revision has sought to introduce policies and zone management arrangements consisting of very different conditions than what was applied to the rest of the economy. Lack of investor response did not deter North Korea from seeking to improve the laws over the years and every iteration has represented a deeper understanding and willingness to move towards practices that would be recognizable in other countries. The most recent law, in fact, goes a long way in meeting expectations on paper. This reflects the DPRK’s learning curve and signals that the latest initiatives are not ad hoc off-the-shelf responses to the whims of the current leadership. The decision to expand the SEZ program to all provinces beyond the two zones promoted on the Chinese border under laws adopted in 2011 has been specifically endorsed by Kim Jong Un and a new SEZ law was approved in 2013. That reality gives legitimacy and authority to the group that has been established under the Cabinet to implement the new program in cooperation with provincial officials. The expanded SEZ strategy builds on the high level commitment to the Rason and Hwanggumpyong and Wihwa Islands SEZs reflected in the establishment of a Joint Committee with China that oversees the development of these two zones. The State Economic Development Committee (SEDC or sometimes referred to the Chosun Economic Development Committee) was established in June to guide the development and promotion of all SEZs except the KIC, which is still handled by those responsible for managing inter-Korean relations. This body reports directly to the Cabinet with a rank above the average ministry and is staffed by young technocrats. Its responsibilities have been separated from the Joint Venture Investment Commission (JVIC), which is responsible for approving foreign investment for projects outside SEZs. The SEDC is also responsible for academic exchanges on SEZ-related issues. In its non-governmental form, it hosted an international conference in Pyongyang on lessons of SEZ experiences in other countries in October. Such academic exchanges with knowledgeable foreign experts and large North Korean participation are a good way to deepen North Korean understanding of the complex issues involved in developing successful SEZs. Fourteen SEZs have been identified for future development. They vary geographically, functionally and in scale, reflecting a differentiated approach to SEZ design and expectations, not an attempt to apply a single model for all regions. Some are small and focused on tourism, others are multi-industry, agriculture, or export processing zones, one is a proposed Green Development Zone in Kangryong and another is a Science and Technology Development Zone in Umjong. While detailed plans for realizing these aspirations have yet to be formulated, considerable thought has been given to the overall strategy, which relies heavily on the ownership and administrative role of local governments under the overall guidance of the SEDC. 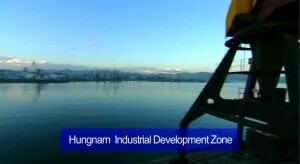 The laws that have been adopted for the SEZs on the Chinese border and the new proposed zones contain provisions that reflect a willingness to set up enclaves where business is conducted in ways that conform much more closely to international practice and expectations of investors than the current business environment in the North Korean economy. Tax provisions, management freedoms, access to finance and communications, and availability of administrative support and dispute resolution mechanisms, signal North Korea’s recognition of needing to improve the business environment. SEZs are a practical way to introduce such changes in a controlled space, which permits confidence-building in being able to conduct business in new, more internationally acceptable ways and provides a testing ground for policies that could be applied more widely in the future. SEZs have played this role in other countries transitioning to market economies, notably China. From this perspective, North Korea’s ambitious SEZ plans could be seen as a commitment to exposing significant parts of the country and local governments to modern business practices and market economic principles and a practical vehicle to introduce changes in economic management in a fragmented but meaningful way. If SEZs are seen as a potential tool to accelerate economic system change in North Korea, then there are certain aspects of zone development that should be discouraged while others should be encouraged. If the objective is merely to attract foreign investment, earn income for the state, and create jobs for underemployed North Koreans, then the implementation of SEZs would aim to isolate them from the rest of the economy to the maximum extent possible. That would limit the risk of spillover which could undermine the socialist economic fundamentals of the state planned system. To a large extent, this was the operative concept of the KIC when it was established. It was also the way the processing-on-commission trade between North and South was conducted in the past until South Korea enacted measures in 2010 that dismantled much of inter-Korean economic cooperation except the KIC following the sinking of the warship Cheonan. If SEZs are seen as ways to strengthen economic competitiveness and leverage impacts of investment on the domestic economy, then opportunities to build linkages to the local economy through subcontracting and purchases of raw materials, goods and services should be exploited in the implementation of SEZs. This would not only increase jobs and local incomes, it would also facilitate knowledge transfer of business and management practices and improve the competiveness and market experience of local firms. How North Korean authorities really view the potential role for SEZs in economic development will be revealed in how much freedom and encouragement investors and zone managers are given to build direct linkages to the local economy. This applies to the future evolution of the KIC as well as the development of the newly proposed zones. The obstacles to establishing successful SEZs are considerable. Apart from trying to get a legal and administrative framework in place that would satisfy potential investors, North Korea poses many risks from an investor perspective. Erratic North Korean behavior that does not comply with agreements is a major problem that the recent KIC experience only reinforces. Potential eruption of conflict on the Korean peninsula is another risk that will deter many investors until a more stable security environment is established or there are more mechanisms available to mitigate such risks. Such mechanisms include insurance protections or government guarantees that are not now possible except for South Korean companies investing in the KIC. Sanctions imposed by the UN Security Council and by some governments also raise commercial costs and risks, as does the absence of any reliable and transparent reporting on the financial condition of the North Korean government, banks or enterprises. Protection of personnel and physical assets from harm is not an inconsequential risk, even for such activities as tourism, as the unresolved dispute over the killing of a South Korean tourist at Mt. Kumgang in 2010 and the recent detention of American Korean war veteran Merrill Newman illustrate. In all of these areas, North Korea can take measures that would reduce investor risk perceptions if the political will exists to give priority to improving the business environment and creating conditions that will help investors succeed. The willingness to explore ways to address the very real risks as well as perceptions of investors will be a good indicator of how central the SEZ agenda is to the overall strategy for advancing national development interests by the North Korean leadership. In addition to the areas where North Korean actions are needed, other issues will require outside help. One is the provision of infrastructure investment required up front for SEZs. This includes land development, electrical power, water and waste management and telecommunications. For the KIC, these were provided by South Korea. For Rason, China and Russia have invested in transport infrastructure, but electrical power supply remains a major issue. For the Hwanggumpyong and Wihwa Islands SEZ, Chinese companies are expected to provide the infrastructure platform but progress has been slow. For other planned SEZs, the infrastructure investment needs will vary considerably but it is not clear how they will be realized. Another issue will be knowledge of how to address many of the practical problems of SEZ management at the zone and local government levels. Experience from other countries can be helpful and more advice from foreign experts on specific SEZ development plans would be worthwhile. A major consideration is how transparently and competently local administration of SEZs attends to the real needs of investors to help them be successful. Another is that the social and environmental impacts of zone development can cause complications that need to be anticipated and mitigated, such as livelihoods for displaced farmers and pollution from industrial waste. There are also issues linked to markets where SEZ products will be sold. Since various sanctions and trade policies will affect the commercial viability of investing for specific overseas markets and the cost/benefit calculations of investors, fine-tuning of investment promotion efforts will be required. Expanded knowledge engagement with North Korea on implementation issues is one way to help overcome these constraints and reduce the risk of unrealistic North Korean expectations due to inadequate understandings of how to handle questions that will inevitably arise. For those in the international community seeking to encourage a more open and business-like North Korea, the question now becomes whether to help Pyongyang find ways to accelerate economic change and development, or to stand back and reinforce the obstacles to success in hopes that added pressure for economic reform will force Pyongyang to make more fundamental changes in its governance and security policies. The media hype that North Korea is giving to its SEZ plans both domestically and internationally ups the stakes of potential failure. What is not certain is whether in the twin pursuit of nuclear weapons and economic development (the “byungjin line”) the North Korean leadership truly understands that the SEZ plan is highly unlikely to succeed if investors stay away. Whether this initiative, which is now a proclaimed priority of the North Korean government, will be viewed in the end as a fantasy or an opportunity to advance economic progress, remains to be seen. The outcome is largely but not solely in the hands of the North Korean leadership. See Bradley Babson, “Will North Korea’s Plans for Foreign Investment Make it a More Prosperous Nation?” 38 North, May 2, 2012, https://www.38north.org/2012/05/bbabson050212/. The North Korean co-chair of the Joint Committee was Jang Song Thaek, whose recent purge can be expected to have an impact on the future evolution of Chinese-North Korean collaboration on the development of the zones on the border. The appointment of his successor in this role will be an important indicator for future direction of North Korean policy on these zones. This conference was organized in collaboration with the Knowledge Partnership Program at the Institute of Asian Research, University of British Columbia, Canada. Promotional video of the State Economic Development Committee.